When you stare at something you tend not to blink as frequently, and the lack of blinking actually causes the eyes not to replenish the tears often. Hormonal changes can cause dry eyes; women especially over 50, and men as they age in general, are more prone to developing dry eye symptoms. I recently came across an interesting study about the correlation between migraines and dry eyes. They looked at 33 migraine sufferers and compared them to 33 people without headaches. The results showed greater prevalence of dry eye in the migraine group than in those without headaches. 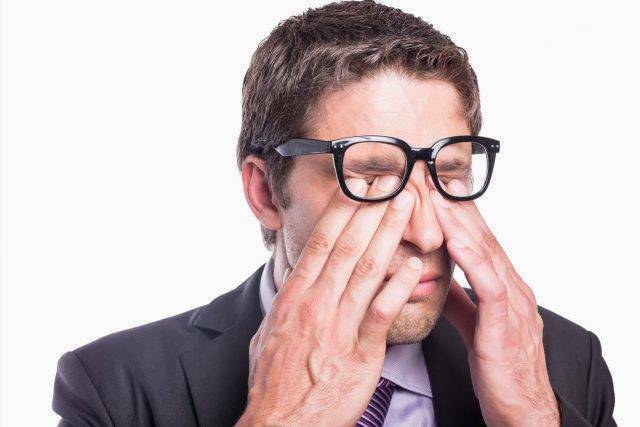 So, researchers are speculating that some migraines may worsen when dry eye symptoms are present. 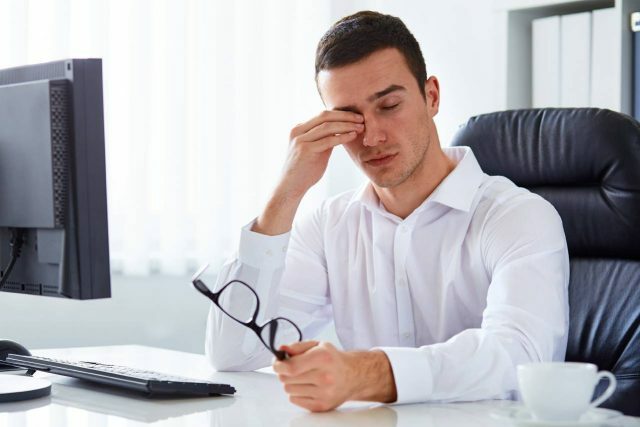 Another study I read recently looked specifically at office work and hypothesized that headaches that people complain of are really being caused by dry eyes. However it is unclear whether one causes the other, or whether computer use is a contributing cause of both headaches and dry eyes. Another very common cause of dry eyes that we are seeing more and more is something called blepharitis, or meibomian gland dysfunction. That is inflammation of the lid glands that allow produce the oil in the tear film. Over time, those glands that line the lids can get clogged and the oils in your tear film don’t flow on top of the tear film to protect it. People suffering from meibomian gland dysfunction are producing tears, but they’re evaporating too quickly. So in between blinks, the tear film is just drying up or breaking down. Some suggest that many years of staring at a computer screen increase the prevalence of chronic blepharitis. In the past, people with this condition were unable to wear contact lenses. However, with the many contact lenses now available, we might be able to help you go glasses free. During heavy computer use, every 20 minutes, look down or close your eyes for a few minute, to give your eyes a rest. If using a medicine that is known to contribute to dry eye, like antihistamines or beta blockers, it’s important to combat dry eye with over the counter tear drops. Seventy percent (70%) of people with dry eye don’t ever see an eye care professional. But the majority of those who “self-treat” are not successfully managing their dry eye symptoms. It’s worth coming in for an eye exam so we can help you treat dry eyes more effectively, especially since over half the people suffering from dry eye might actually have blepharitis or meibomian gland dysfunction and they often don’t respond well to over the counter eye drops. There are different methods that are most effective for treating different types of dry eyes. Now, when you come into the office, we’ll be able to do a thorough examination and to evaluate that. When we see patients in the office we have begin by having the patient fill out a history form. There’s also a discussion kit developed by Allergan. 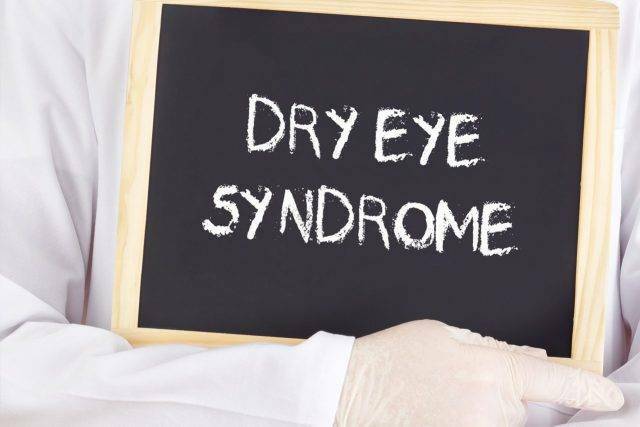 During the exam, we ask about the dry eye symptoms and other questions that give us insight into the potential causes of dry eye, and find out what – if any – self-management has been done up until now to try to treat dry eye. Then we work together to coordinate the best treatment plan. Ultimately, we try to diagnose what type of dry eye you have; whether it’s the evaporative, or whether it’s mucus deficient or water deficient. Then we develop a treatment plan based on different methods that we use to treat different types of dry eyes. Do you suffer from Dry Eye Symptoms? Call our Wasaga Beach office or schedule an eye exam with Dr. Ben Pezik today! The Beach Eye Care clinic is conveniently located in the Stonebridge Town Centre to serve the Georgian Bay including Wasaga Beach, Collingwood, and Barrie. Preservative free eye drops will allow you to use your eye drops as many times throughout the day as you would like, where as preserved eye drops are limited to 3-4 drops per day.